Raindance Raindance is an independent film festival and video & film school that operates throughout major cities including: London, New York, Vancouver, Toronto, Montreal, Budapest, Berlin and Brussels. The festival itself was established in 1992 by Elliot Grove, founder of Raindance to be the voice of British Filmmaking. Listed by Variety as one of the world’s top 50 ‘unmissable film festivals’, Raindance aims to nurture, support and promote independent films, filmmakers and videographers. Along with screenings, there are seminars, workshops and parties to allow everyone the chance to share the passion for independent film, video & cinema. Newsflare is proud to be associated with the Raindance team to bring our members expertise in film and video to help you take better, newsworthy videos that we can sell. Raindance talks about the rise of DSLR’s and gives their first tip on Depth of Field. The first Digital Single Len Reflex cameras that could shoot high definition video emerged in 2008. In the 6 years since they have become the camera of choice for most, if not all, beginner and professional photographers, videographers, filmmakers and documentarians in the world. Their ability to deliver stunning professional-looking photos and video with very little effort, in a cheap and compact package, has revolutionised the way we capture and share our daily lives. It’s hard to imagine a part of today’s media, from student films to live war coverage, that hasn’t been affected by the inexorable rise of cheap DSLR technology. If you’ve got a DSLR, it’s good to know how to use it properly. Sure, you could just set it to ‘Automatic’ and shoot away, but knowing just a few key tips and tricks could make all the difference to shooting great newsworthy video. Most DSLRs come with a standard 18-55mm lens. They’re handy, adaptable and can yield some great results, but sacrifice aperture f-stops for zoom flexibility. This might sound complicated, but put simply it means that you can’t achieve the ‘sharp subject, soft background’ cinematic look by having a shallow depth of field. This past week marked the beginning of chasing season for Team Tornado Hunter. The first day was a blue-sky bust in Nebraska. The next day, Sunday April 27 however was an incredible roller coaster. We began the day in Nebraska, headed into Missouri. At this point, the Storm Prediction Centre upgraded the watch area in Arkansas to a High Risk for Tornadoes and also issued what is referred to as a PDS (Particularly Dangerous Situation). I had been trying to avoid chasing in Arkansas, as this is an area that is very hard to chase in due to hills, giant trees, winding roads and generally low visibility. But here we were at a cross road and we took it! Off to Arkansas we went, and as we arrived in the Little Rock metroplex radar indicated that a large tornado was forming within just a few miles of our location. We headed to our intercept point and came upon a half mile wide monster tornado that was so large we actually thought it was a large cloud until we got close enough to tell that it was moving way to fast and full of debris. For the next hour and a half we chased this monster on its 128km damage path until it eventually hit the small town of Vilonia Arkansas. This is where our chase ended and our night began. Imagine, all of these homes and trees and vehicles destroyed, hundreds of them in complete darkness. The searchers were calling out to survivors, it was eerie. My driver Ricky and I continued searching and after about a half hour we heard a reply from beneath a pile of rubble. We quickly called out for more searchers and within minutes we had a dozen people pulling a collapsed brick wall and large amounts of other structural debris off the pile. After 20 minutes we finally had the cellar door freed and 3 families emerged from their dark cocoon. I cannot imagine how terrifying their ordeal must have been. The last few months have been like a whirlwind in the Newsflare offices; In January we concluded a major investment round and since then the team has grown significantly. Along with the fresh faces in the office, each week we add fresh clients to the growing number of organisations that license your videos. In the last fortnight alone names like the New York Daily, Sweden’s Aftonbladet as well as production companies like Juma Entertainment and Renegade Pictures have joined our client list. The most dramatic change that we have seen over the last six months has been the dramatic increase in the demand for engaging video. 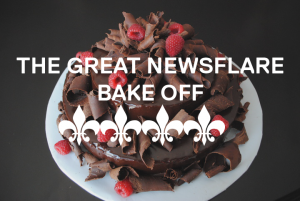 Broadcasters and websites are now being joined by major brands and training companies as buyers of Newsflare video. It is also worth highlighting that as the world’s climate seems to be increasingly unpredictable, we in turn are receiving and licensing more and more footage of extreme weather from all around the world – a quickly uploaded 40 second clip not only provides eyewitness footage of a breaking weather event, but also secures the author a respectable share of license fee. Another trend that we are seeing is more and more footage captured by quad-copters or “video drones” as they are often referred to. Whilst the various air safety regulators around the world clearly have some important work to do in issuing fresh guidelines for the safe use of these devices, there’s no doubt that they are already an important source of video footage for a range of subjects; sports, weather, conflict, to name just a few. The footage is often shot from such a fresh perspective that it proves highly engaging to viewers and buyers of video alike. After much hard deliberation Newsflare and Stray decided on 3 winners who responded to the Stray Travel: Off the Beaten track competition. Big congratulations to everyone who uploaded a clip, as it was extremely difficult to judge the top 3. Thanks to Stray for offering such amazing prizes to these winners. Stray have also generously offered us a discount code to give to our members so if you or any of your friends want to go on one of Stray’s amazing trips you can get a 20% discount by using the code NF2012. 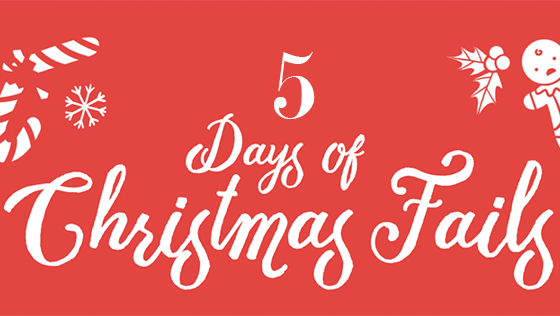 However you will have to hurry as this code is limited to 10 redemption’s per country. 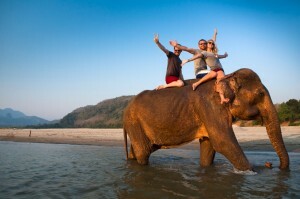 Check out http://www.straytravel.asia/ and http://www.straytravel.com/ for more details. Don’t forget to check out our assignments page regularly for more competitions and paid assignments from news organisations near you. Also if there’s an event you’re attending please let us know and upload what is happening via the website or iPhone App. Our friends at My Street have just launched their annual film competition and we are encouraging all our Newsflare members to get involved. 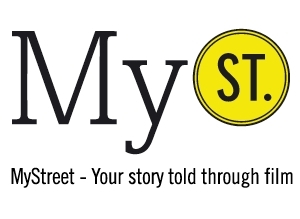 MyStreet is an exciting opportunity for you to tell your story about your area, through film. Share with the world where you are, who you are and how you live. We’ve just launched our annual competition, to participate simply upload your video (1 to 10min. long) at www.mystreetfilms.com by 8th May 2012. 3. At the festival the shortlist will be reviewed by our Grand Jury, chaired by Nicolas Philibert, who will select the 3 best films. Prizes will be awarded! Get involved and spread the word.